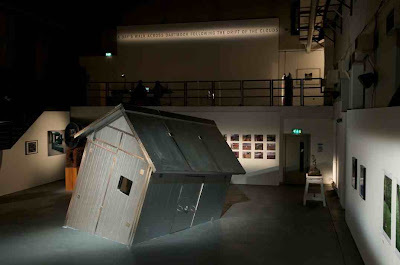 Nigel Slight's work 'Hut' is on show as part of the From Floor to Sky British art exhibition at at P3 Gallery in London until April 4. I love the slanted hut, and the lighting makes it a perfect story. Great post thanks!